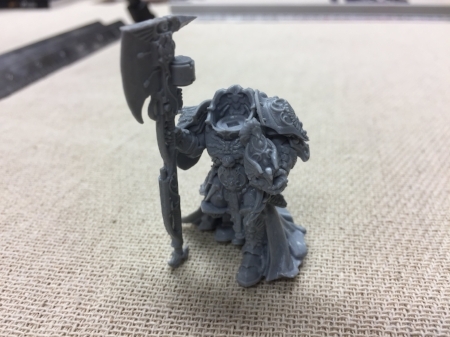 Another unboxing for you guys - Ixion Hale! Lovely black character series box! 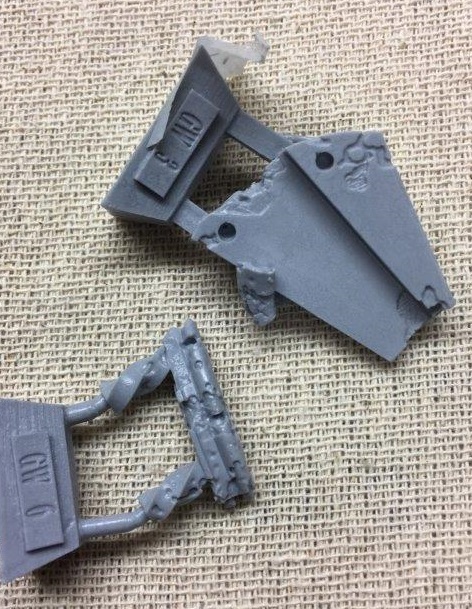 It really does add to the boutique feel of some FW kits! Checked by cards - seems this one was boxed a little while back now! The picture gallery above shows the key parts in nice detail - we discuss this more in our YouTube un-boxing video (link below!) but the details are slightly softened. 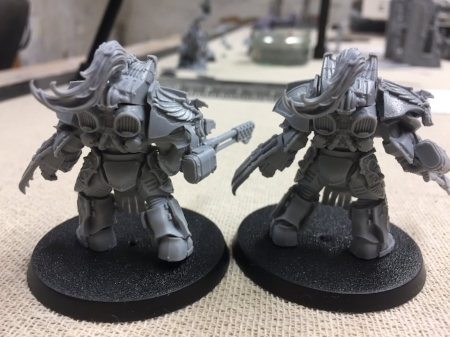 The detail is all there, nothing is lost, but as compared with several other FW character series kits (Eidolon & the Terminator librarian as examples in my own bunker) the kit seems slightly softer. It may be that this is due to the numbers cast, simply a one off bad cast (although the details are still stunning) or perhaps this is how it is meant to be. Several videos on line (Here and here) seem to show slightly better quality - pot luck some times! Here the details can be compared - are my standards too high? 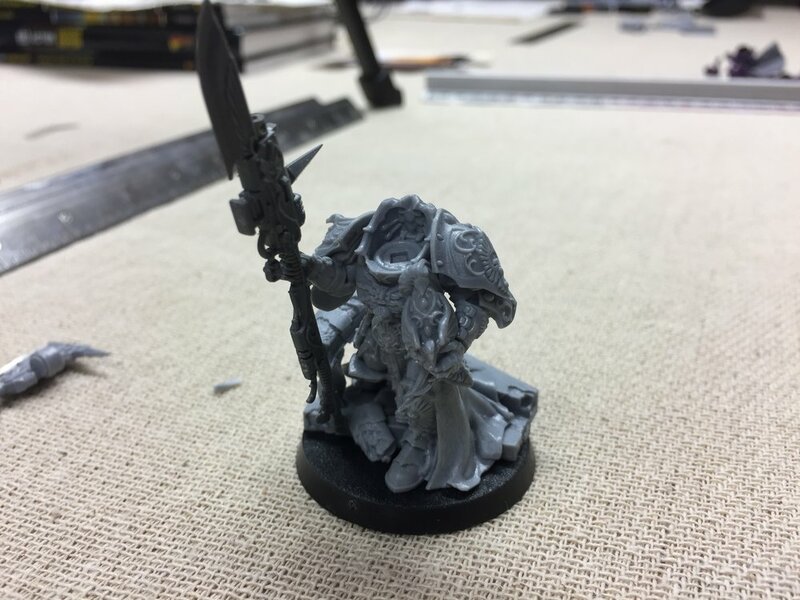 Brother Handro and I discuss the options for this character in the video - essentially it's a build your own as a Legio Custodes Shield Captain. In Inferno this chap is a very flexible character with a range of equipment and weapons. I'm imaging a build including a paragon spear to represent the halberd will do nicely. 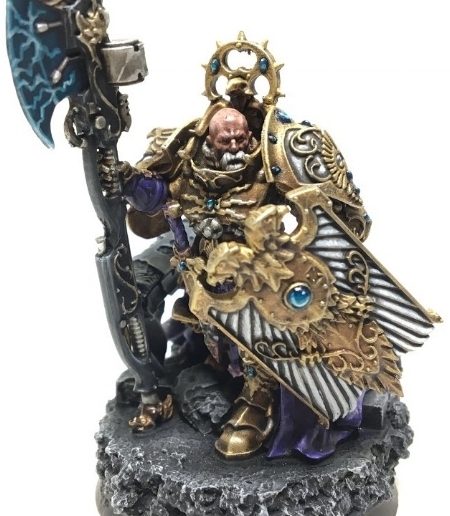 There are some conversions replacing the helmet holding arm with a plastic Custodes shield (like that by Marcel Kinrade found here) - this would allow the WAAC tactic inclusion of a Praesidium shield for extra -1 to hit & re-roll failed invulnerable saves. 2+/4++(re-roll) and -1 to hit is strong, but not what I'd run all the time - Magnets? Watch this space. Overall, I like this kit. The finish is a slight disappointment, but if you haven't got him already (Brother Handro: "and like this sort of thing!") then buy him now! Thought for the day:"Do not question the Will of the Emperor!" 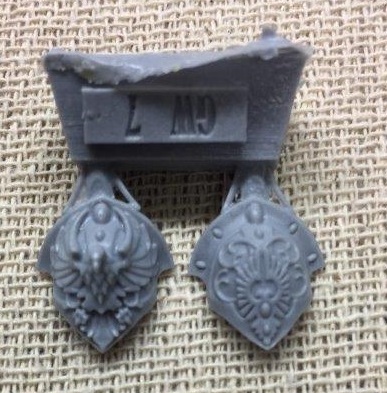 As with many Forge World products, these beauties come in a free box! Huzzah! 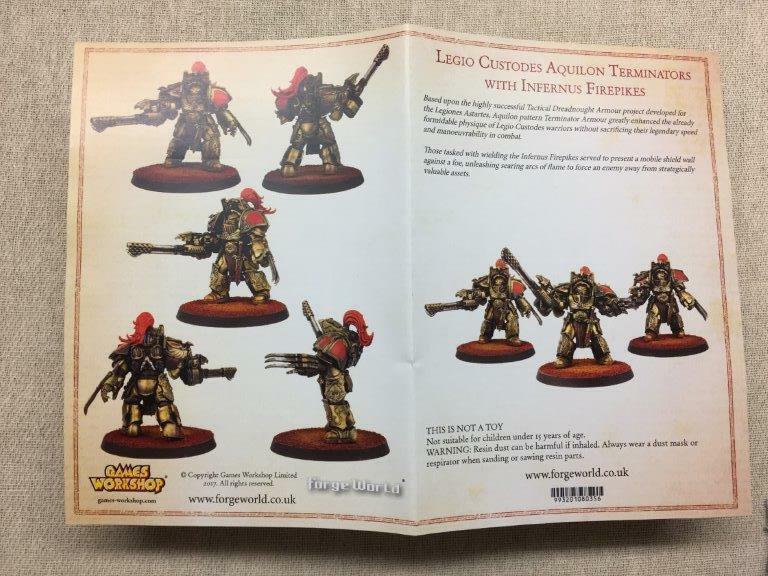 This is the first Forge World kit I've bought with instructions and a leaflet explaining the models. There is a brief guide to working with resin and a label for the parts and how they go together! Lets look at the parts eh! My first thought was "wow, these guys are big!" 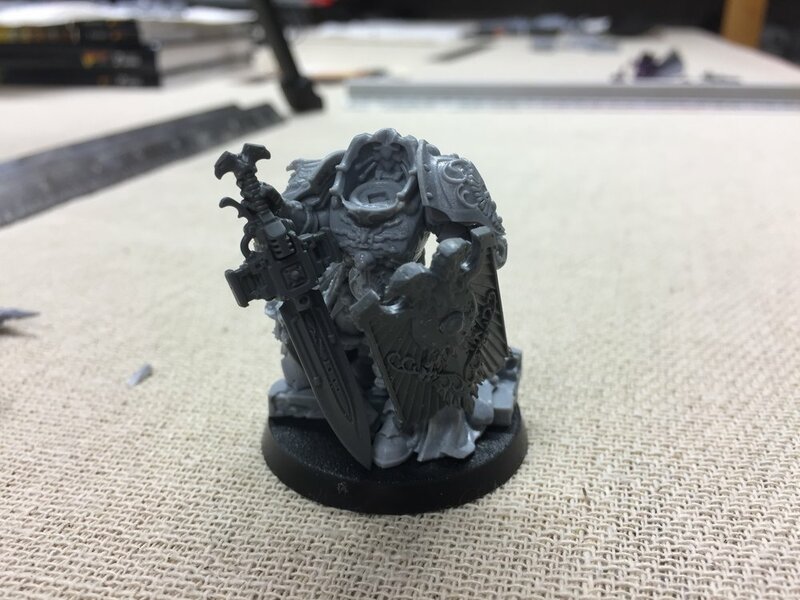 Brother Handro and I regularly complain that the models look so small at Warhammer World, but these actually feel bulky. The pads are several leagues larger than Terminator pads! This picture, odd as it is, shows the hoods. I've included it for a) completeness b) a demonstration of the quality of the kit and the reliability of casting. The eagle claws! Look at how perfect they are! The pikes themselves are beautiful! 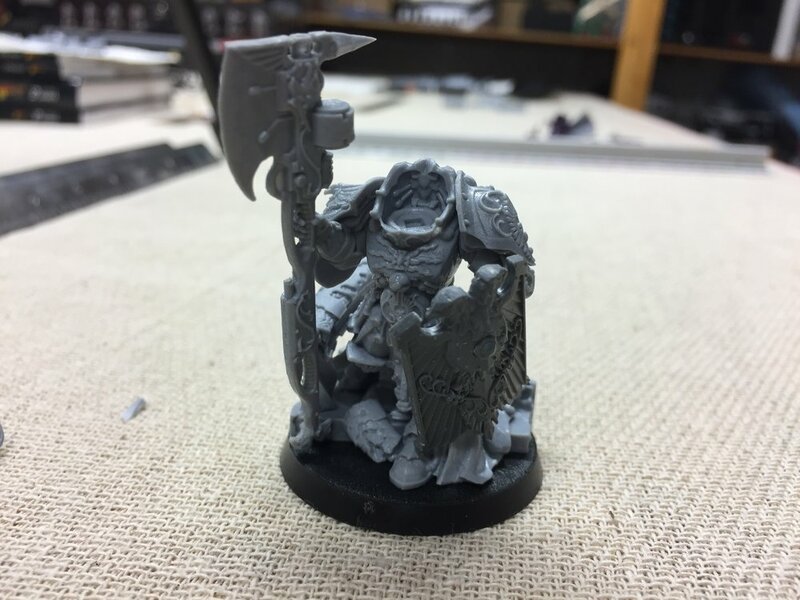 Torso parts, leg guards and daggers - the story behind the dagger means every Custodes must have one! Three helmets and one bare head - descisions desicisons....probably all helmets! 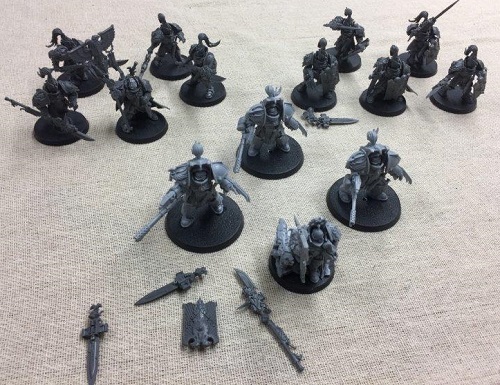 These chaps will be Ixion Hale's bodyguard and so they need to be faceless! Look! They can be painted! 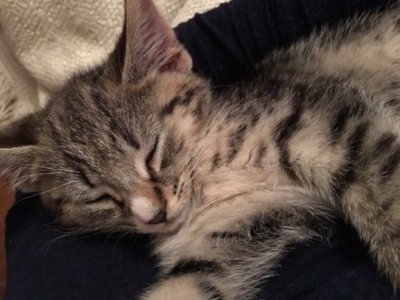 The proof is here! So in summary I am very pleased with this kit! It is crisp, well checked and well boxed. I suppose my only criticism will be revealed in the summary of my discussion with Will Hayes - stay tuned for that later this week!